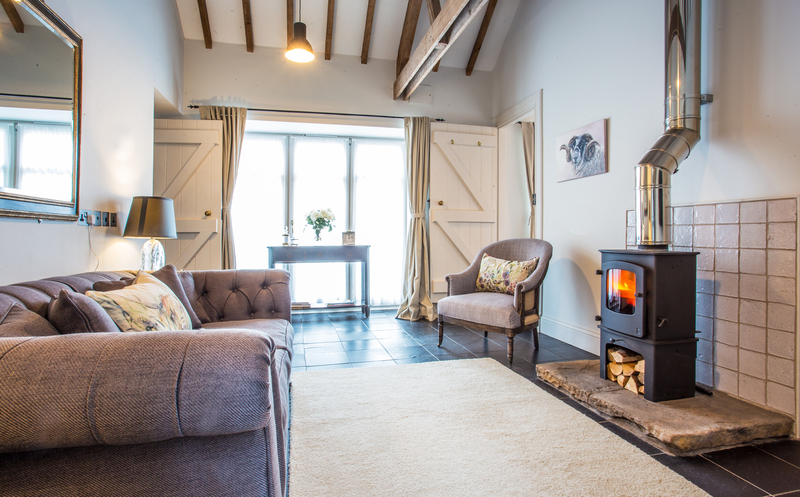 We are thrilled to welcome the gorgeous Holburn Mill Cottage to our collection of luxurious holiday homes in Northumberland. One of our most romantic retreats, Grade II listed Holburn Mill Cottage is the perfect intimate retreat in an idyllic setting. 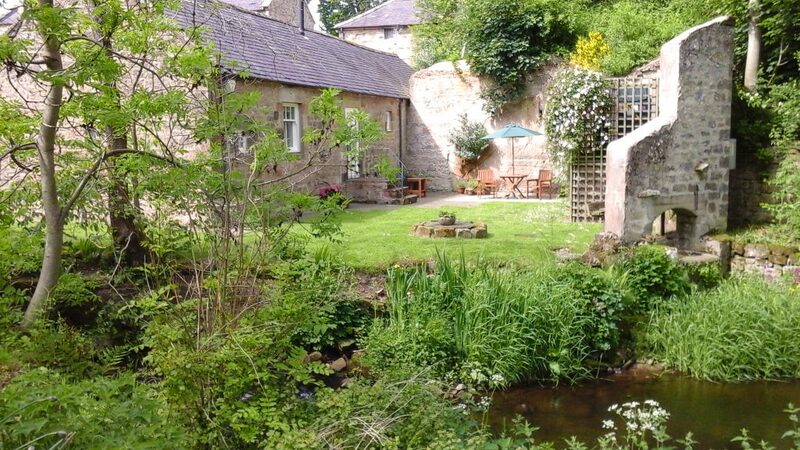 Located on the grounds of the old Holburn Corn Mill, the trickling Hetton burn at the bottom of your garden and the beautiful scenery is so peaceful, making this cottage a relaxing retreat for a leisurely holiday. Sleeping just 2, the cottage is all ground level with a couple of steps here and there. It was originally one of the mill buildings that has been completely refurbished into a romantic cottage for 2. Fluffy bathrobes, Smart TV, Bluetooth speaker and the wood burning stove give a perfect mix of hotel luxury with a hint of the rustic Northumbrian landscape. Holy Island is just 10 miles away and Bamburgh Village and Castle is just 12 miles away. The cottage is filled with local guide books and history about the area, so whether you choose to put your feet up or put those walking boots to good use, Holburn Mill Cottage will leave you relaxed and refreshed whatever you choose. Holburn Mill Cottage sleeps 2 guests in 1 bedroom. Every room in the cottage is very spacious and it’s all on the ground floor too. The lounge has a wood burning stove and the kitchen is very well equipped. There is full central heating throughout and a private garden with a BBQ available April to September. Free wifi throughout the cottage. The entrance into the cottage is into the dining kitchen. As all of the floors are slate, slippers are provided if you forget to bring your own! Wet coats and boots can be left here to dry too. The kitchen is bright and airy, and incredibly well stocked. The dining table seats just 2 and the kitchen comprises of all of the usual appliances including a fridge, freezer, electric oven, ceramic hob, washing machine, dishwasher, microwave, kettle, toaster and espresso coffee machine. Enter into the lounge and the seating is focused around the wood burning stove. There is an initial supply of logs supplied from October through till April. There is a Smart TV as well as full wifi throughout the cottage. 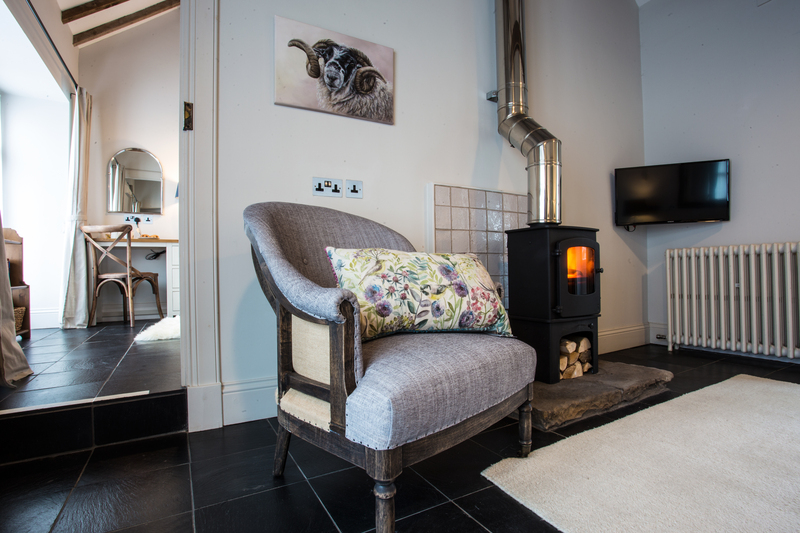 Beautiful fabrics and cushions from Voyage Maison and local artworks give the cottage a very personal touch. The bedroom is cosy and spacious with plenty of storage space. Luxury linens, fluffy white towels and flannel dressing gowns and slippers are provided for use too. The bed is double size (4ft 6″ wide). The duvet is goose feather and down and out of the 4 pillows, 2 are feather and 2 are hypoallergenic. Please bring your own duvet if you are allergic to feathers. 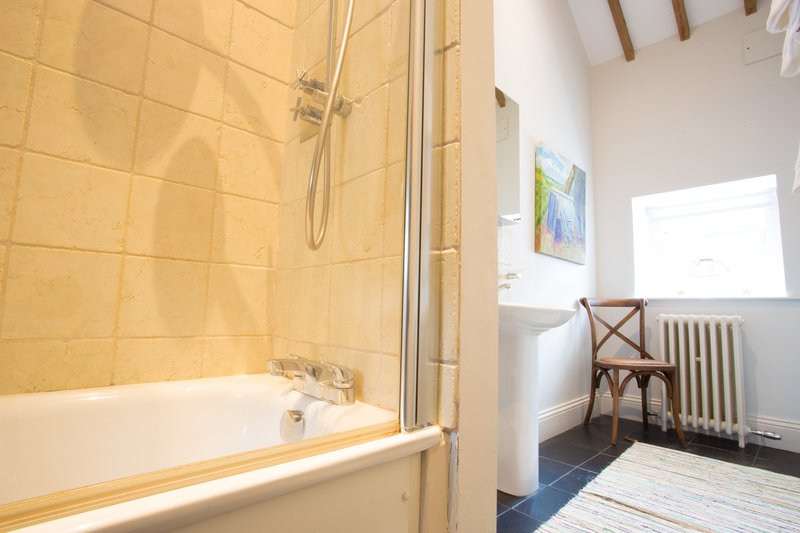 The bathroom is located at the other end of the cottage and has a shower over the bath, wash basin, WC and a heated towel rail. Complimentary toiletries are provided. The garden is accessed through the lounge and is lawned and furnished, with the pretty Hetton Burn running along the end of the garden. There is a charcoal BBQ provided too for balmy summer nights. There is private parking for 2 cars just along the bridge entrance to the cottage, no more than 50 yards from the cottage. You can park right up at the front door to unload and reload your car, but parking there permanently would stop the owner from accessing their home, as they are on site. Slate floors, rustic artworks and touches of luxury such as dressing gowns, slippers and a luxury welcome hamper waiting upon your arrival makes Holburn Mill Cottage a charming English romantic country retreat. The door in the lounge leads straight out to the garden which is lovely to have open in the summer. 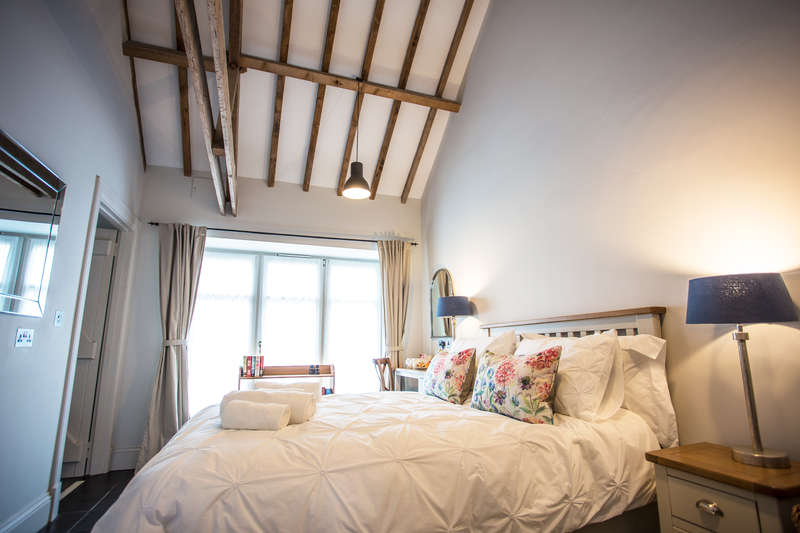 Holburn Mill is very calm and quiet, and the bedroom decor reflects the tranquil position of the cottage. The exposed beams and tall ceilings hint to the cottage' original purposes as part of the old mill. The hand-painted kitchen is incredibly spacious just for 2, as well as being very well equipped. Holburn Mill Cottage is the immediate forerground of this image, but this aerial view gives a gorgeous perspective of the whole mill. Up to 2 guests and 1 baby. Gorgeous Welcome Hamper including locally brewed beer, local cheese, fresh eggs and much more, including luxury toiletries and a comprehensive bespoke area and property guide. Bathrobes and slippers provided complimentary. One baby welcome. A cot and highchair are available for use upon request. Fridge/freezer, electric oven, ceramic hob, dishwasher, microwave, toaster and kettle. Washing machine, iron, ironing board and vacuum. Hairdryer, books, films and a selection of games. Wood burning stove in the lounge. There is plenty of storage space provided for large items such as surfboards and bicycles. Smart TV in the lounge, with a Bluetooth speaker, free unlimited wi-fi & a Nespresso Machine, with a starter supply of pods provided. Wifi (fibre broadband). Accommodation on 1 floor, with 1 step up to the bedroom. The shower is over the bath. The garden is not enclosed and the burn is accessible at the bottom of the garden. For little ones who may like to explore, please don’t leave them unattended. Mobile phone signal is very limited here, but full fibre Wifi is provided. Whilst the owners live on site, they are very private and respectful, and you’ll hardly notice they are there. You do not share the same parking or garden. 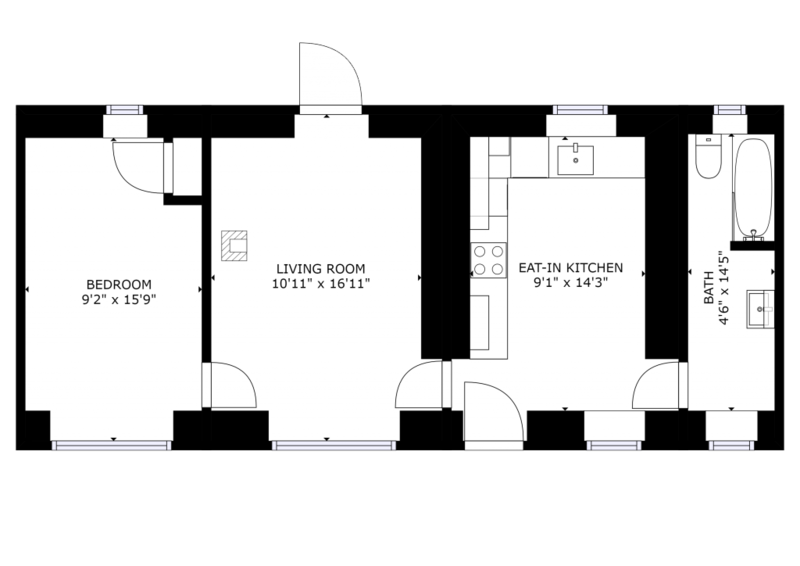 1 double bedroom with a 4ft 6″ size bed. Goose feather and down duvet. 2 x pillows are goose feather and down and 2 x pillows are hypoallergenic. There are no further alternatives available. The bathroom has a shower over bath, WC and basin and with a heated towel rail. Complimentary toiletries are provided. 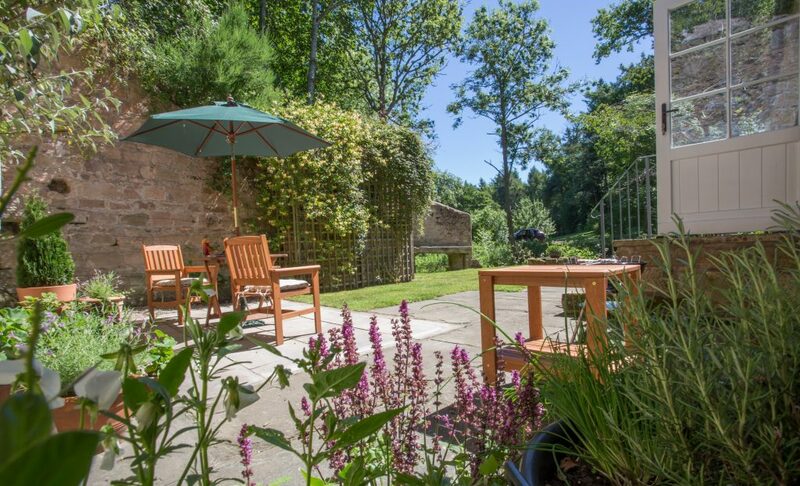 The pretty lawned garden is completely private from the owner’s residence and a sun trap. There is a BBQ provided at Holburn Mill Cottage which is available April – September, please bring your own charcoal and accessories. Please ensure that the barbecue is clean prior to your departure. Private parking for 2 cars 50 yards from the front door, however, you can unload your belongings at the front door temporarily. 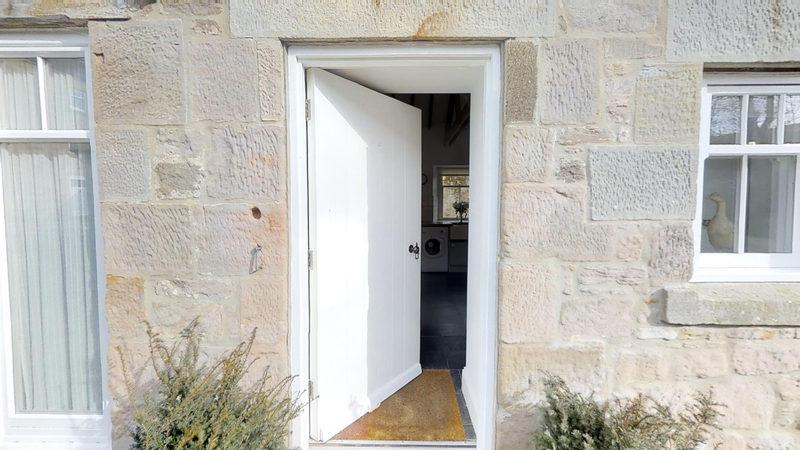 Here you can explore Holburn Mill Cottage in 3D virtual reality, click on the arrow to start then use your mouse or touch screen to explore all areas. The floor plan can be enlarged by clicking on it. 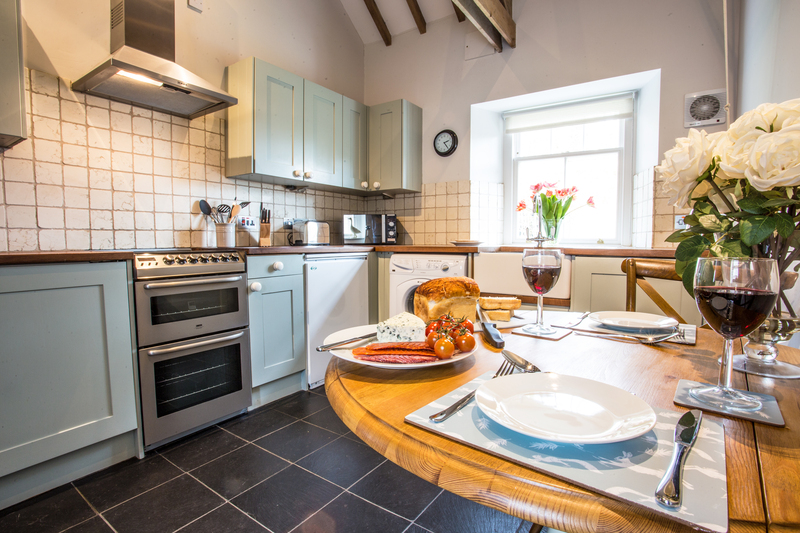 Holburn Mill Cottage is in a beautiful location on par with Bamburgh. It it a quick 10 mile drive to to Holy Island and just under 12 miles to reach Bamburgh and the coast. The immediate location of the cottage is gorgeous and you can even walk to Cuthbert’s Cave, a place of rest for the monks of Lindisfarne during the Viking Raids. As well as this historical site, there are plenty of stunning walks right from your doorstep. Click here for the exact location of the property. Holburn Mill Cottage is a stones-throw from the nearest village, Lowick (only 3 miles away) where there is a small convenience store and two fantastic pubs for food and drinks. If you are looking to do a larger shop Belford, just 6 1/2 miles in the car. In Belford there is a Co-op, post office, several pubs and a lovely farm shop, Sunnyhills . Spectacular. Interior design was beautiful. The surroundings perfect, very peaceful with lots of wildlife. The owners were very helpful but also very discreet. Everything was thought of and the cottage was very well stocked. Extra touches such the hamper, dressing gowns, slippers and lovely toiletries were very much appreciated. We will definitely visit again. 5 plus stars!! Interior design was very luxurious. The extra touches such as the hamper, dressing gown and slippers etc. The surroundings were very private but location excellent. The garden is spectacular!! This is the nicest two person cottage we have ever stayed in. Visit The Wild Cattle at Chillingham! 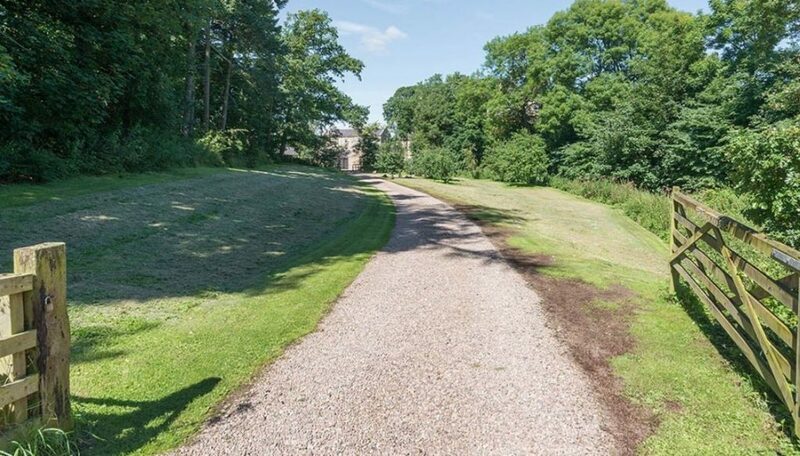 Remarkable survivors of the ancient wild cattle that once roamed Britain’s forests, this herd of around 100 cattle are now situated in a beautiful, enclosed park near Chillingham Castle, just 15 minutes’ drive from Holburn Mill Cottage. From the park, there are stunning views of the Cheviots, and the warden can take your around on a fun and informative tour, sharing the history of these fantastic beasts. Keep an eye out for deer, hares, foxes and an array of bird species too! The Percy Arms at Chatton is hard to beat for some hearty pub grub, in a picturesque, historic, cosy bar and restaurant. The owners have beautifully re-furbished this proud fronted village pub in a style which is both fitting and accepting of the pub’s heritage. The ethos is not to re-invent the wheel, but rather to celebrate Northumberland, its heritage and all it has to offer. The pub and restaurant is open 12pm til 3pm Monday to Saturday, and from 5pm Monday to Saturday evenings. Sunday meals run from 12 noon through to 8pm. Visit Berwick! This beautiful, coastal town has four sandy beaches and stunning riverside walks. Berwick is perfectly situated for a relaxing day out and a haven for walkers and cyclists. Berwick’s great Elizabethan walls were built to keep invading Scots from entering the town, and are certainly worth a visit during your stay. Walk the complete circuit, taking in spectacular views across the River Tweed estuary and Berwick’s three bridges, including the iconic Royal Border Bridge, built by Robert Stevenson and one of the finest bridges of its kind in the world. Explore Berwick’s history by visiting museums in Berwick Barracks and The Main Guard. Take a tour of the town’s old courtroom, jail lockups and notorious ‘drunk’s cell’ in the upper floors of Berwick Town Hall. Families can also enjoy a splash-park, soft play, creative pottery centre and the swimming pool and leisure centre, as well as kids holiday activities in Berwick Museum and Berwick Parks!